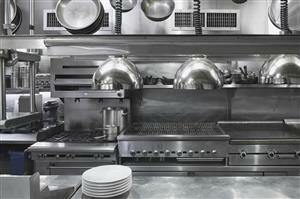 Should you really worry about valuing a restaurant? Absolutely! Valuation provides you with a baseline of what your restaurant is worth. Should you take the local real estate agent's word on what your restaurant is worth or is there more to it than that? Often times, you'll get a much more thorough evaluation from a business appraiser. It takes into consideration a wide range of issues, such as your location, the overall market in the area, your competition, your reputation in the community, your future income and any number of other aspects that can be very complex in nature. This is something that most real estate agents don't always fully consider when presenting you with a potential asking price for your business. Valuation gives you an idea of where you can improve your restaurant. How do you compare against competitors in your area? Are you losing business to that new Italian place down the street? How can you change your operation to improve your restaurant overall? Because a business valuation specialist who is focused on restaurants looks at businesses like yours all the time, they're able to quickly pick out where your company is strong and where it's weak. This gives you valuable insights into your business in the valuation report that allow you to take action to improve and grow your company. Valuation helps you determine future income. Will you be able to count on your restaurant income when the kids go off to college and you need to pay tuition? If you don't know where your company is going and how to project your past and current business income into the future, that may be a difficult decision to make. Fortunately, the methodologies used in preparing a valuation report means you can not only get an idea of what that income will be, you can take it to the bank - literally. The standardized methodologies used in valuation reports are widely accepted by financial institutions because of their strong performance in the past. When you're trying to keep your restaurant rolling on a daily basis, it's easy to overlook why valuing a restaurant can be so very important to your business' bottom line and long-term success. But before you have a valuation performed, make sure that you work with a certified business valuation specialist. This ensures that the money you spend will be well invested to create a solid valuation report that will hold up well in a wide range of circumstances that were discussed above, because the certification process ensures that the appraiser learns and uses standardized methodologies that have stood the test of time for many decades.